Avis Indie Art was named to highlight both the independent nature of what Mark creates, and also the ‘indie’ characteristics of how he works – with all ideas and artistic creation his own, selling through small independent galleries and outlets, rather than high street corporate retailers. Mark began his artistic career making decorative steel furniture, but always had a huge passion for art in all forms and looked to bring this passion into his work. A lot of hard work, a huge amount of time, and much determination culminated in him creating his first sculpture. The success of this, along with inspiration taken from visits to numerous art galleries, sculpture parks and architectural masterpieces across many countries fuelled his passion further and Mark has become a well-established and genuine artist. 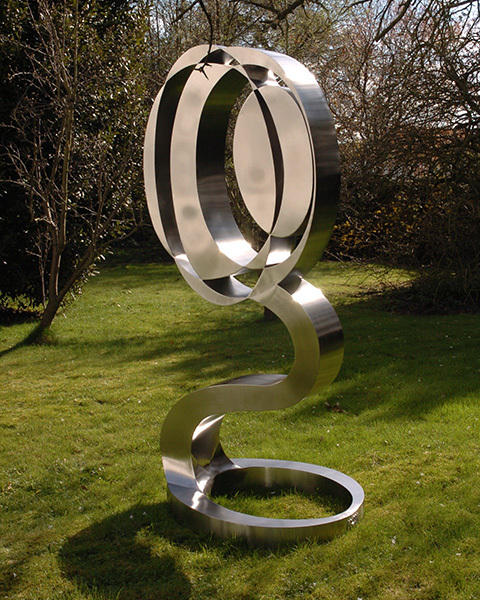 Mark creates his original pieces using a variety of mediums, from sheet steel to plaster-of-paris, depending on the form he wants each piece to take and the concept he is visualising.